The SG-PCIE8SRS422485MOD 8-port RS232 /422 /485 to PCI Express Module Box provides a highly scalable serial interface that is backward compatibility with PCI applications and drivers. 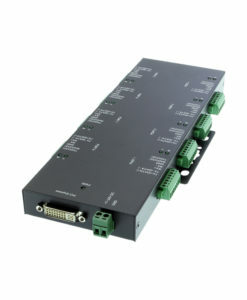 Provides 8 serial ports via terminal block connection to support various combinations of signals. Backward compatible with PCI applications and drivers. 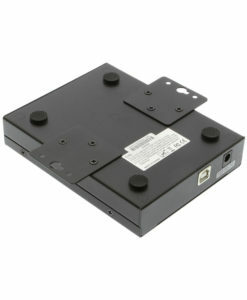 The Module Box can be powered by Cable or its 2-pin Terminal Block Connector. The SG-PCIE8SRS422485MOD 8 port PCI Express Module Box is designed to accommodate various RS232 /422 /485 digital signaling for your PC, workstation, thin client, or server. The 8 Port PCI Express Card provides instant RS232, RS422, and RS485 serial port expansion via the PCI Express bus to the external module. 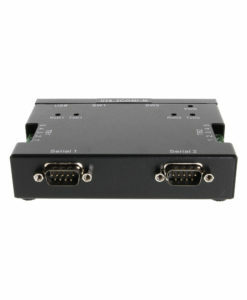 It supports serial applications that need some combinations of RS232, RS422, and RS485 connections in one single PCIe slot. This PCI Express RS232/RS422/RS485 Module provides a highly scalable serial interface with high-speed data transmission to your equipment’s serial I/O bus. 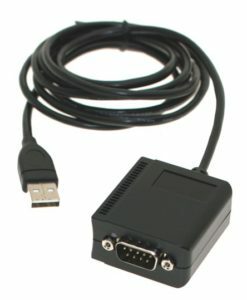 Backward compatibility with PCI applications and drivers is a key feature when using various digital signal connections. Its architecture defines a high-performance, point-to-point, serial bus at speed of 250Mbytes/sec to 4GBytes/sec. It is easy to install and use with its plug-and-play feature, simply follow the instructions of Install Wizard, it’s that simple. The SG-PCIE8SRS422485MOD provides the versatility needed to quickly adapt to new serial technologies.